A strong cold front is headed for the Rio Grande Valley tonight and it could bring with it lots of thunderstorms, powerful winds and hail. 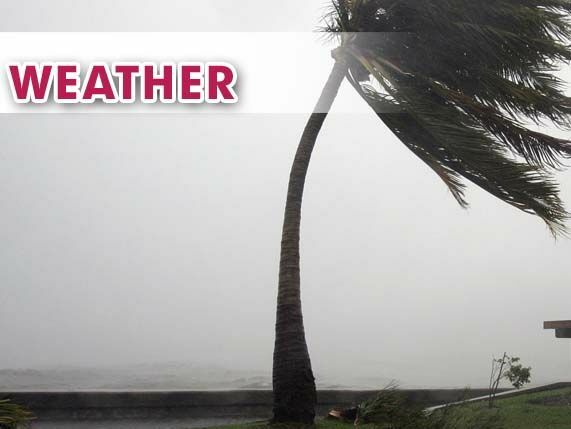 The National Weather Service in Brownsville says the front is expected to arrive in the Valley between midnight and 2 a.m. In the far western parts of the Valley, including Starr County, wind gusts could reach up to 70 mph this evening. In Cameron, Hidalgo and Willacy counties forecasters say the isolated gusts make reach 40 to 50 mph. The storm may also include small hail up to the size of a nickel. Some rain is expected across the Valley, although isolated regions could see minor flooding in low lying areas and road. The strong thunderstorms will also create lots of lightning.